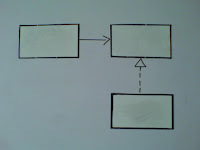 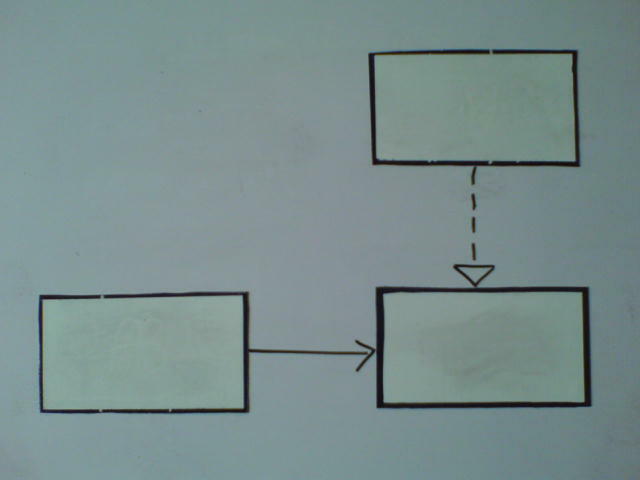 What's missing in this UML inheritance? 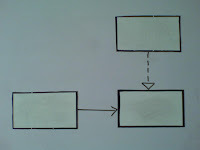 Here's how inheritance is typically drawn in UML. 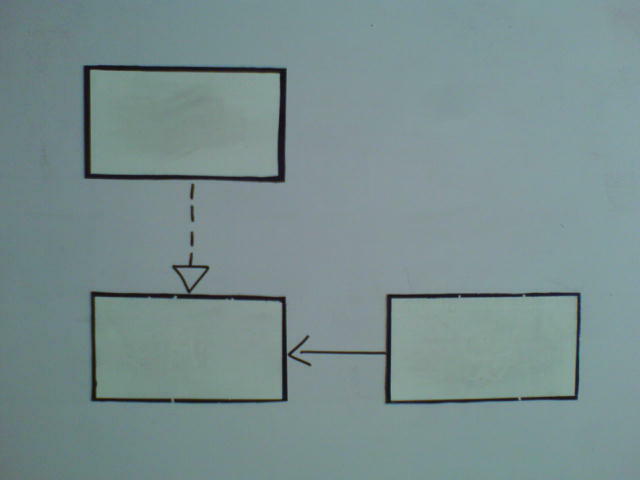 When the top two classes are in one package and the bottom class is in another package the effect is to create a package dependency pointing upwards (think of the inheritance triangle as a fat arrowhead). 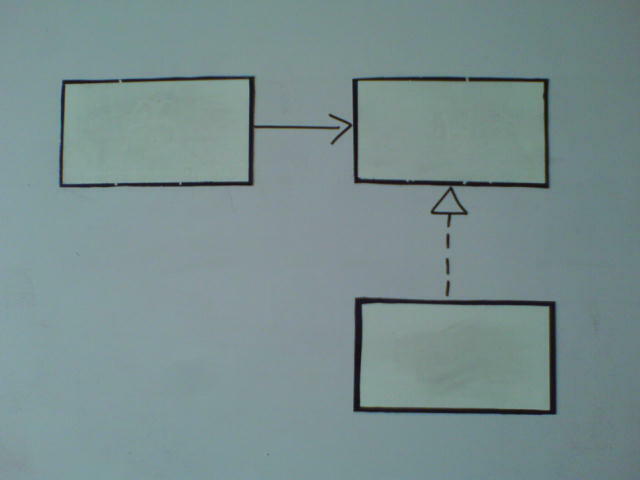 It's odd that this style for drawing inheritance is so dominant as it is in stark contrast to how package/layer dependencies are typically drawn - pointing downwards. 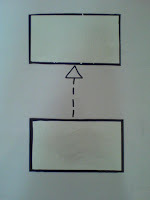 The solution is simple - rotate the diagram! 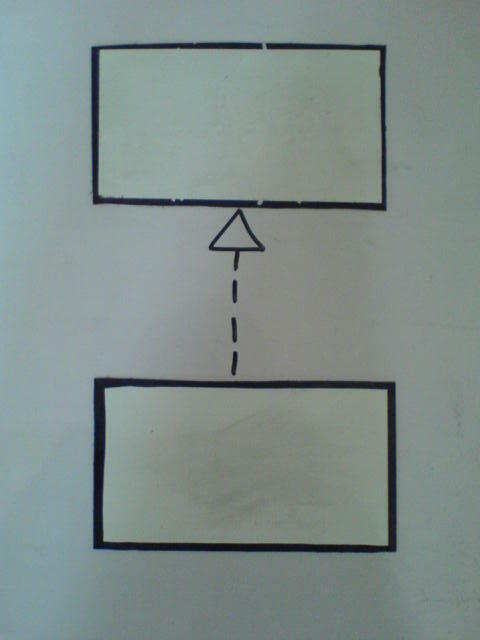 However, associations are conventionally drawn left to right. 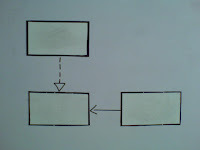 Again the solution is simple - this time the diagram needs a reflection!